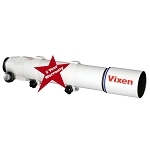 Vixen Optics' AX103S Refractor 103mm f/8.0 Apo Refractor Telescope is an ideal optic for both celestial observation and astrophotography. Optically, it's designed with a fully multi-coated 3-lens apochromatic extra low-dispersion (ED) lens system that corrects both spherical and chromatic aberrations. This correction creates a wide flat field of view without distortion and removes the blue-tinted "halo" affect for true high-contrast color transmission. A rear Field Corrector lens further corrects distortion at the edges of the lens so views remain crisp and sharp from edge to edge. 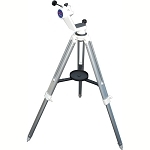 The scope can be used for multiple astrophotography techniques included prime-focus, afocal imaging, or eyepiece projection. 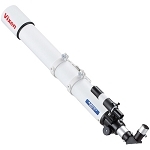 A traditional rack-and-pinion focuser, with adapter rings, is employed to be able to handle heavier awkward loads of astrophotography rigs, and can accept 2" eyepieces and accessories for making visual observations. 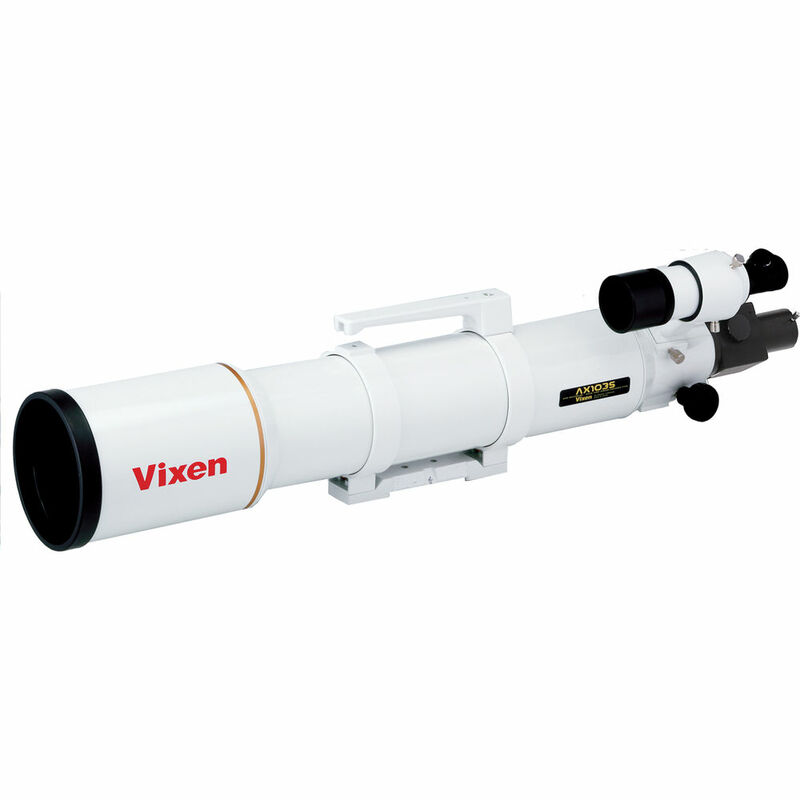 Vixen includes a flip-mirror diagonal that allows the use of two different eyepieces for observational flexibility, or an eyepiece and imaging system that lets users simply flip the mirror to check alignment and tracking accuracy between exposures without having to touch the imager. 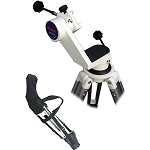 While the AX103S is offered here without a mount or tripod, a Vixen-style dovetail plate that fits on compatible saddles is included, along with a mounting ring assembly with an integrated carrying handle to make set up and breakdown easier. Box Dimensions (LxWxH) 36.5 x 10.2 x 8.0"